Knit up a large size of our cute and cuddly amigurumi fox. Head, body and ears are knit in the round, all other pieces are knit flat. 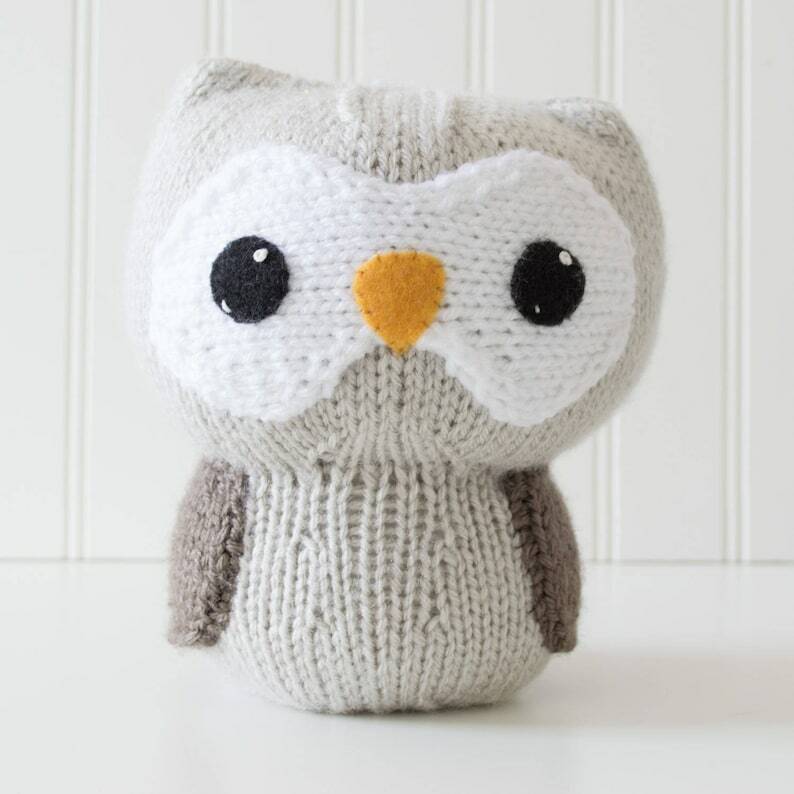 Our 4-page downloadable amigurumi pattern has full color photos, diagrams and detailed instructions. Finished Size: Approximately 8" (20.25cm) tall. Needles: Set of five (5) double-pointed knitting needles, size 6 US (4mm). ❤ Embroidery floss: black, white, gold. ❤ Yarn needle; embroidery needle. Extremely well written pattern! It is laid out clearly with pictures. I am an advanced beginner knitter and was able to read this pattern with ease. I can't wait to give the finished raccoon as a gift. I will post pictures soon.